Variegated Mexican PrimroseDeciduous perennial. 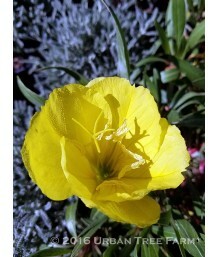 Pointed green leaves with yellow edging. Papery pink..
CA Tufted Evening PrimroseDeciduous perennial. 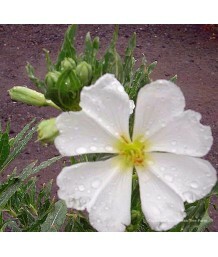 Native to western United States. Many rosettes of nar..
Ozark SundropsDeciduous perennial. 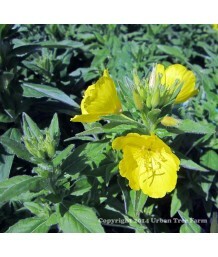 Also known as Oenothera macrocarpa. Sprawling habit with thin, sh.. Pale Evening PrimroseDeciduous perennial. Thin deep green leaves form a sprawling mound. Large, frag..
Mexican Evening PrimroseDeciduous perennial. Thin deep green leaves form a sprawling mound. Pink, ye..
SundropsDeciduous perennial. 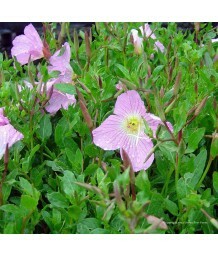 Branching reddish stems are set with medium green leaves that turn dull..
Evening PrimroseDeciduous perennial. Native to California. 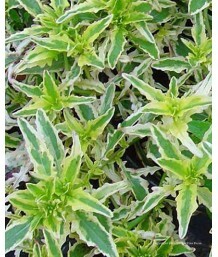 Foliage forms a bushy, upright clump of o..
Starry Eyes (Borage Family)Evergreen perennial. Small, blue flowers have an endearing forget-me-not .. Giant Lily TurfEvergreen grass. Small, white blooms from mounds in summer. 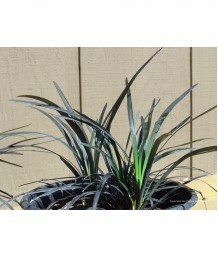 May produce attractive bl..
Aztec GrassEvergreen grass. 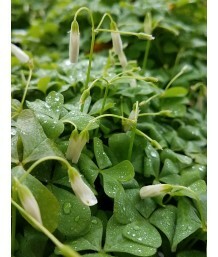 Small, white blooms from mounds in summer. May produce attractive blue b..
Mondo GrassEvergreen grass. Pale lilac flowers in summer. Glossy, green blades. 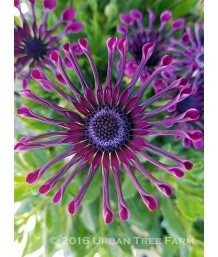 Grows in clumps and ..
Black Mondo GrassEvergreen perennial. Clumping black-bladed foliage. Lilac-white flowers bloom in su..
Black Mondo GrassEvergreen grass. Pale pink flowers in summer. Flowers are followed by dark purple b..
Ornamental OreganoEvergreen perennial. Rosy pink to lavender flowers in late spring. Scented, grey-g..
Ornamental OreganoDeciduous perennial. Rosy pink to lavender pink flowers in summer and fall. 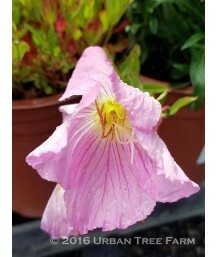 Scente..
Ornamental OreganoDeciduous perennial. Light pink flowers in summer and fall. Scented, roundish leav..
Ornamental OreganoDeciduous perennial. Lavender pink flowers start in summer. Roundish green leaves ..
Hopley's OreganoDeciduous perennial. Small green leaves form a low growing clumping mat. Bright viol..
Small-leaved OreganoDeciduous perennial. Pinkish purple flowers start in summer. Small, furry leaves..
Ornamental OreganoDeciduous perennial. Pink flowers start in summer. 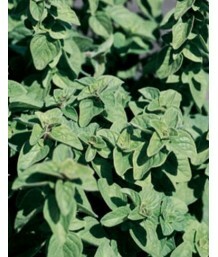 Small, silvery leaves are aroma..
Oregano, Wild MarjoramDeciduous perennial. Pale lavender pink flowers start in summer. Roundish char..
Oregano, Wild MarjoramDeciduous perennial. Small pink flowers start in summer. Oval-shaped, golden l..
Oregano, Wild MarjoramDeciduous perennial. Light pink flowers start in summer. Oval-shaped, variegat..
Greek OreganoDeciduous perennial. White flowers start in summer. Roundish leaves are closer to the c.. Morning Flag/Morning IrisEvergreen perennial from rhizomes. 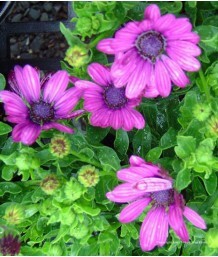 Pale to bright blue flowers start in sum..
African DaisySemi-evergreen perennial. 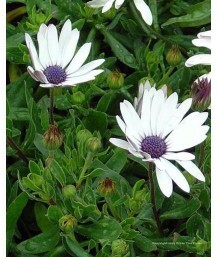 Daisy shaped double flowers are white with purple centers and..
African DaisySemi-evergreen perennial. 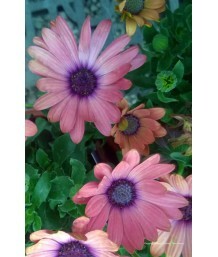 Daisy shaped double flowers are light pink with deeper pink c..
African DaisySemi-evergreen perennial. 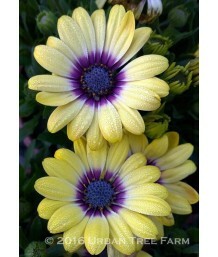 Daisy shaped double flowers are medium purple with deeper pur..
African DaisySemi-evergreen perennial. Bushy green foliage grows in a compact dense mound. 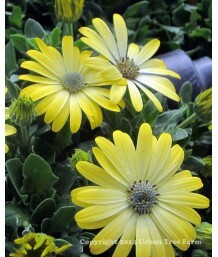 Bright ye..
African DaisySemi-evergreen perennial. 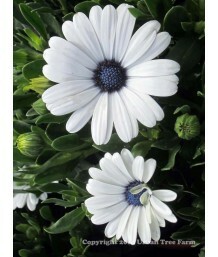 Daisy shaped flowers are white with blue-gray centers and hav..
African DaisyDeciduous perennial. 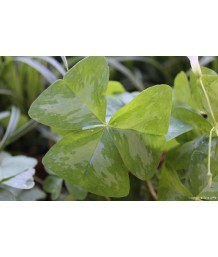 Green ovate leaves form a clumping mound of foliage, well suited f..
African DaisySemi-evergreen perennial. 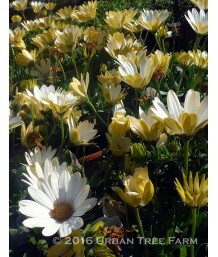 Green ovate leaves form a clumping mound of foliage, well sui..
African DaisySemi-evergreen perennial. 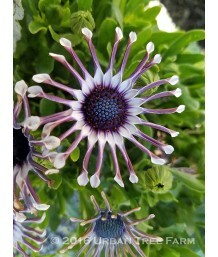 Daisy shaped flowers are purple with blue-gray centers and ha..
African DaisySemi-evergreen perennial. 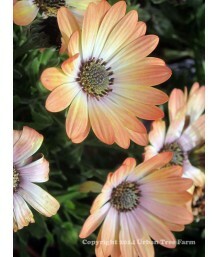 Daisy shaped flowers are bronze orange softening to pink with..
African DaisySemi-evergreen perennial. Bushy green foliage grows in a compact dense mound. 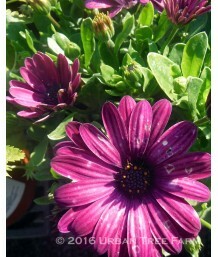 Dark lave..
African DaisySemi-evergreen perennial. 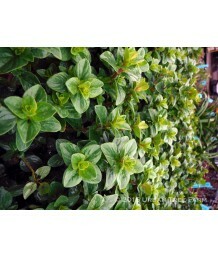 Bushy green foliage grows in a compact dense mound. 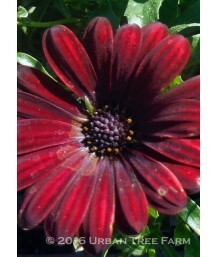 Dark red ..
Cape Aster/Ice PlantEvergreen perennial. 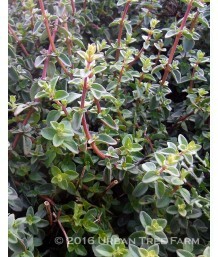 Pudgy succulent foliage is blue-green, resembling tiny pick..
Barbary RagwortEvergreen perennial. Flat gray leaves form a small clump. 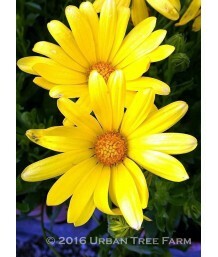 Yellow daisy-like flowers a..
Shamrock/Wood SorrelDeciduous perennial. Can be an aggressive spreader, best kept in containers. Lar..
Cape ShamrockDeciduous perennial. Can be an aggressive spreader, best kept in containers. Vibrant gr..
Brazilian OxalisDeciduous perennial. Can be an aggressive spreader, best kept in containers. Vibrant..
Wood SorrelDeciduous perennial. Can be an aggressive spreader, best kept in containers. Large vibran..
Redwood SorrelDeciduous perennial. Can be an aggressive spreader, best kept in containers. 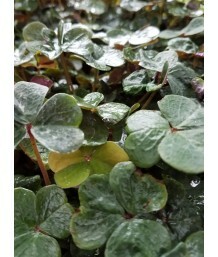 Dark gree..
False ShamrockDeciduous perennial. Can be an aggressive spreader, best kept in containers. Medium gr..
Wood SorrelDeciduous perennial. Can be an aggressive spreader, best kept in containers. Dark wine-re..